It is difficult to navigate Life. Choose to observe it and give it LIFE. or anxiety about the future. to capture a reflection of Real Love. with one of her many friends. and savor the the flavors of Life. they teach us to be kind. They are among Life’s greatest teachers. Katy and Scarlett sharing a precious moment of Joy. through a clear and peaceful mind. by the finite physical World. are part of an Eternal reality. as T. S. Eliot called it. To another time and place. to a perspective beyond the physical. A little time to think things over. In case I need it when I’m older. Now this mountain I must climb. And through the clouds I see Love shine. It keeps me warm as Life grows colder. In my Life there’s been heartache and pain. I don’t know if I can face it again. Your Love is so Beautiful. When our children talk to us, or present us with challenging behavior, our natural instinct is to dive in and fix problems – or fix our children. We talk too much, and we become autobiographical. Everything we say is from our own point of view. Our natural reactions are rarely understanding – yet that is what our children need from us. If our children are experiencing emotions that are ‘inconvenient’ to us and that may be challenging, the most effective thing we can do is respond to their distress with emotional first-aid. When we enter a child’s World and empathically reflect their feelings, they regulate their emotions more quickly, they feel safer, and they also understand that what they are experiencing is normal. Breath taking is the Master’s Work. Worlds are created by Love. is your work of Heart. God in everything and every Living Being. A unique antioxidant present in mushrooms could have a protective effect on the brain, the study found. The more mushrooms people ate, the better they performed in tests of thinking and processing. But researchers said it was not possible to prove a direct link between the fungi and brain function. The National University of Singapore study’s findings were based on 663 Chinese adults, aged over 60, whose diet and lifestyle were tracked from 2011 to 2017. Over the six-year study, the researchers found that eating mushrooms lowered the chances of mild cognitive impairment, so that roughly nine out of 100 people who ate more than two portions a week were diagnosed, compared with 19 out of 100 among those who ate fewer than one portion. Mild cognitive impairment (MCI) can make people forgetful, affect their memory and cause problems with language, attention and locating objects in spaces – but the changes can be subtle. It is not serious enough to be defined as dementia. The participants in the study were asked how often they ate six different types of mushrooms: oyster, shiitake, white button, dried, golden and tinned. Mushroom eaters performed better in brain tests and were found to have faster processing speed – and this was particularly noticeable in those who ate more than two portions a week, or more than 300g (10.5oz). “This correlation is surprising and encouraging,” said assistant professor Lei Feng, the lead study author, from the university’s department of psychological medicine. “It seems that a commonly available single ingredient could have a dramatic effect on cognitive decline. The researchers point to the fact that mushrooms are one of the richest dietary sources of ergothioneine – an antioxidant and anti-inflammatory which humans are unable to make on their own. Mushrooms also contain other important nutrients and minerals such as vitamin D, selenium and spermidine, which protect neurons from damage. But there is still a long way to go before evidence of a direct link can be established. This study relied on self-reported information on mushroom intake and other dietary factors, which may not be accurate, the researchers acknowledged. Dr James Pickett, head of research at Alzheimer’s Society, said: “There are lots of factors that contribute to the development of dementia and it’s estimated that up to a third of cases could be prevented by changes in lifestyle, including diet. Dementia is one of the top 10 causes of death, but people can take action to reduce their risk, so it’s important that we base our advice on consistent evidence that’s built up over multiple studies, and don’t get carried away with the findings of any one single study. The study is published in the Journal of Alzheimer’s Disease. I watch them bloom for me and you. Oh, what a wonderful World. of the people passing by. Turmeric powder is a bright yellow powder made by dry grinding of mature turmeric rhizomes (underground stems). The use of turmeric for coloring and flavoring food, for cosmetic purposes and for medicinal properties dates back to the ancient Vedic culture of India. Used in almost all Indian curries, this spice has almost no calories (1 tablespoon = 24 calories) and zero cholesterol. It is rich in dietary fiber, iron, potassium, magnesium and vitamin B6. The wide range of turmeric health benefits come mainly from its ingredient, curcumin. This widely researched component of turmeric is highly therapeutic and is used in various drugs and pharmaceutics mainly because of its immunity boosting and anti-oxidant properties. Boosts Immunity: Curcumin has a huge therapeutic value and boosting immunity is one of the most important properties of curcumin. “5 to 8 times stronger than vitamin E and stronger than vitamin C, this antioxidant breakthrough may help boost your immunity, maintain normal cholesterol levels, and put the brakes on aging,” says Dr. Joseph Mercola about curcumin in turmeric. Has Anti-inflammatory and Anti-oxidant Properties: Free radical causing oxidative damage to DNA and proteins are associated with a variety of chronic diseases such as cancer, atherosclerosis, and neurodegenerative diseases. Curcumin plays an important role in curbing these conditions. Curcumin down-regulates certain inflammatory transcription factors such as kappaB, enzymes such as cyclooxygenase 2 and 5 lipoxygenase, and cytokines such as tumor necrosis factor (TNF), interleukin-1 (IL-1) and interleukin 6 (IL-6) and hinders the development of these diseases. Protects Against Certain Liver Diseases: It is evident from various studies conducted in rats, and a Mexican study showed that curcumin prevents acute liver damage by at least two mechanisms: acting as an antioxidant and by inhibiting NF-kappaB activation and thus production of proinflammatory cytokines. Another study published in the Fundamental & Clinical Pharmacology journal revealed that curcumin was effective in preventing and reversing cirrhosis, probably by its ability to reduce TGF-beta expression. These data suggest that curcumin could be an effective antifibrotic and fibrinolytic drug in the treatment of chronic hepatic diseases. Controls Development of Type 2 Diabetes: In people who have prediabetes, turmeric helps control development of type 2 diabetes. This has been shown in a Thai study published in the journal Diabetes Care where the researchers found that people with prediabetes who took capsules containing curcumin were less likely to go on to develop type 2 diabetes compared with people who didn’t take the curcumin capsules. The reason, says Drew Tortoriello, an endocrinologist and research scientist at the Naomi Berrie Diabetes Center at Columbia University Medical Center, is that turmeric lessens insulin resistance and prevents type 2 diabetes. Curcumin, however, is not readily bioavailable; it makes sense to regularly add turmeric powder to the food even for people who are not prediabetic. Helps Promote Weight Loss: Curcumin aids in weight loss and reduces the incidence of obesity-related diseases. The inflammation associated with obesity is due in part to the presence of immune cells called macrophages in fat tissues throughout the body. These cells produce cytokines that can cause inflammation in organs such as the heart, and islets of the pancreas, while also increase insulin resistance in muscle and liver. Scientists believe that turmeric suppresses the number and activity of these cells, and help reduce some of the adverse consequences of obesity. Improves Rheumatoid Arthritis: According to a study by Chandran and Goel at Nirmala Medical Center, Kerala, the researchers also found that curcumin treatment was safe and did not relate to any adverse events. Treats Sprains and Swellings: Treating prains and swellings with a pinch of turmeric powder, lime and salt is an age-old home remedy practiced throughout India. Home Remedy for Chronic Cough: Turmeric powder is an effective home remedy for chronic cough, cold and throat irritations. Prevents and Treats Alzheimer’s Disease: Curcumin in turmeric has a potential role in the prevention and treatment of Alzheimer’s disease, according to a study published in the Annals of Indian Academy of Neurology. Alzheimer’s disease is a neurodegenerative disease characterized by progressive cognitive deterioration together with declining activities of daily living and behavioral changes. Various effects of curcumin, such as decreased beta-amyloid plaques, delayed degradation of neurons, metal-chelation, anti-inflammatory, and antioxidant property, improve overall memory in Alzheimer’s patients. Prevents and Treats Certain Cancers: Researchers from Cancer Biology Research Center, South Dakota, claim that curcumin may be an effective chemopreventive and therapeutic agent for cervical cancer prevention and treatment. They found that curcumin treatment suppresses cervical cancer cell growth by altering the HPV-associated molecular pathways in cervical cancer cells. What are the Uses of Turmeric Powder? Apart from therapeutic uses, turmeric is also used as an important condiment, in beauty products and spiritual ceremonies. In India, turmeric is used in almost all curries and gravy dishes. It gives a rich color and a unique flavor to the food. Turmeric is a well-known preservative. Scientists from Gujarat found that adding turmeric to paneer (cottage cheese) extends the shelf life of paneer up to 12 days. Turmeric is a great pesticide. Sprinkle turmeric (powder) water near all the entry points of your house to ward of insects, ants, and termites. Turmeric has an important place in Indian weddings. Turmeric paste is applied to the bride and the groom as part of the haldi ceremony just before the wedding to give them fresh glowing skins and to ward off the evil eye. Turmeric is considered as a symbol of purity, prosperity, and fertility. Turmeric water is poured / offered to the Gods in the temples as a part of Hindu ritual called Abhishekam. The color yellow is considered sacred and auspicious in India. Any fabric dyed in turmeric is considered pure. Women in India use turmeric in skin products such as creams and body scrubs to boost the glow factor. Drinking turmeric tea daily may increase your life span, suggests Dr Andrew Weil. Adding one teaspoon of turmeric powder to 4 cups of boiling water, simmering it for 10 minutes and adding honey to taste can do the trick. Adding turmeric to meat can reduce the levels of cancer causing heterocyclic amines (HCAs) by up to 40 percent, according to researchers from Kansas State University. Turmeric is safe and has no side effects when used optimally. People with turmeric sensitivity can have mild stomach upset or diarrhea. Use turmeric with caution if you are pregnant. Turmeric can make gall bladder problems and GERD (Gastro Esophageal Reflux Disorder) worse. Turmeric can slow blood clotting and might cause extra bleeding during and after surgery. A Gift intended for you and me. find the pathway to unconditional Love. we will surely wither away. is essential for our health. And it is essential for our Spiritual well being. God’s Beauty is the path. and so little time seeking the Light. in what we do in our daily lives. Enact the Beauty that we Love. and Love your thoughts and dreams. the more we are able to Love others. What we Love, we find Beautiful. that Love plays in our lives. in the Love of God. 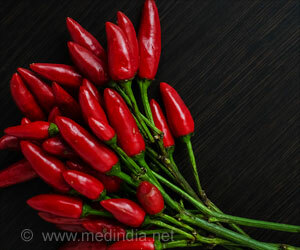 A trade watchdog in China has detected a cancer-causing industrial dye in chili paste and red chili power products. Several supermarkets and factories in Hunan province have been punished for selling and producing the products dyed with chemical compound Rhodamine B, a banned food additive. The Changsha Industrial and Commercial Bureau revoked the license of a company while a dealer was fined tens of thousands of yuan, the Shanghai Daily reported. The dye was added in order to improve the appearance of the products. Hunan cuisine is known for being dry-hot, as distinct from the numbing-hot flavors of Sichuan cuisine. However, both provinces have been hit by the dyed pepper scandal. Rhodamine B was first detected in hotpot seasonings in Chongqing in March 2011.
of Humans being a small and insignificant Creation. O, the depth of the riches of the Wisdom and Knowledge of God. can instantaneously affect each other’s behavior. – more literally than we can ever realize. “Be Thou my Vision, O Lord of my Heart. much of which we know virtually nothing about. But, we are learning more and more. relative to the three spatial dimensions. and statistical mechanics are accounted for. all that is done under Heaven. exalted by the fourth expanding dimension. why we cannot find our way back to yesterday. if it aligns with the greater simplicity of its premise. – the more extended is its area of applicability. The Omniscience of God suffers apparent paradoxes due to the limitations of the Human mind. to increase the efficiency of connections. was accurate with respect to what could be observed. that quantum math did not account for. the work that is done under the sun. there is more to reality than the observable Universe. than we can ever comprehend. There are things fundamental to reality hiding in plain sight. plus one dimension for time. than the dimensions we can see. and too small for us to notice. we know of 11 space dimensions. But how many dimensions exist? To be filled with the fullness of God is dependent upon our comprehension of the “dimensions” of God’s love. God is not restricted in time and space as man is. of predestination vs. free will. Spatial descriptions do not apply to Him. God is pre-existent, Eternal, with no beginning and no end. He has made everything Beautiful. to advance all manner of scientific endeavor. Every animal has a purpose. What is our purpose for existence? we Humans have very brief and finite Life spans. The purpose is far greater. is that God is our Creator. makes everything with a purpose. and for your precious Life. Every plant has a purpose. than even the material World. we are not aware of. Does a greater form of consciousness exist? Quantum physics leads to a possibility where cosmic consciousness becomes a reality. One of the most important questions of the 21st century: Is there such a thing as a higher form of consciousness? For those who believe to have experienced God directly, the question is spiritual in nature, with a definitive answer. However, for the rest, it is a hypothetical question. All religious or spiritual tradition teaches of a concealed reality that can be achieved through the transcendence of the five senses. They even give directions for accomplishing this feat, such as Faith, Prayer, meditation, etc. For those whose belief has eroded, the question seems forgotten if not irrelevant. On a different note, quantum physics has radically changed the understanding of the Universe. Despite the incredible growth in our understanding, all of this is theoretical and hidden from the human senses. So, according to our current understanding, the only obstacle in demystifying creations, Spirituality, and science is a missing dimension — at least one we don’t know about. Without this dimension, explaining human existence would be impossible. People have always associated religion with Spirituality, which isn’t entirely true. One can leave organized religion behind and still remain Spiritual. The reality that is still hidden from us is the higher consciousness itself. To be able to see it, higher consciousness must become an everyday experience. Let’s take a brief look at Quantum theory. According to the theory, we live in a participatory universe. Even though we consider our everyday reality to be an external reality, it actually is variable based on our perception. Moreover, the theory explains quantum vacuum, which is essentially an emptiness that exists beyond what we can see (i.e. atoms and molecules). The theory of cosmology, which is based on Einstein’s general relativity states that the universe started some 12.5 billion years ago. The earliest period of time in the history of our universe is called the Planck era, which is the state where everything is so minuscule that it cannot be further broken down. Then came the phase of general expansion through which matter, galaxies, planets, and biological life came into this existence that we are familiar with. Since then, everything has been constantly expanding and evolving. With an understanding of space and time, we are forced to believe that even our brain operates in space and time. So, if the universe really is participatory, our consciousness must also be participating on the quantum level. This is possible because the ever expanding source of every particle and the newly discovered anti-particle must also be the source of our brain. Since everything comes from the same origin but with different time frames, it is constantly involved in a participatory manner, hence the creations, maintenance, and re-absorption of virtual particles. This is where the missing link makes sense. Physics need quantum vacuum for a lot of reasons that make theoretical sense. However, in terms of how we perceive our physical reality, life goes on quite nicely even without the existence of quantum mechanics. So, since we understand that everything that exists depends upon quantum vacuum, our belief that we are exclusive to that rule must be incorrect. Hence, transcending beyond the five senses — which previously applied only to mystics and sages — is now relevant to literally everyone. These mystics found the answers to so many questions even before the scientific community: cosmic consciousness is the missing link. Now, at this point, we are faced with the strangeness of quantum physics and its implications on our understanding of the universe. The thought that even we are a part of this inconceivable reality — where all consciousness becomes one — may sound a bit strange or even misguided, but please keep in mind that our understanding of the world is increasing at an exponential rate and this seems to be confusing us. as Spirituality becomes a huge part of us. Although, the causations made by Deepak Chopra may not have been proven empirically, the existence of a cosmic consciousness seems today like a possible reality, one that has started to appeal to a wider demographic. But the concept is still in its infancy and, therefore, needs to be extensively implemented and practiced with before we can experience the latent power held within our spiritual side. for all those who mourn. From hatred and anger and cruel tyranny. They’ll vanish like shadows at Heaven’s Door. When all of God’s purpose will be revealed. Where they rest in peace, and rise in Glory. All my enemies to forgive. All those whom we cherished will be reborn. And fill their Souls with your good Grace. For now they see you face to Face. That erases the pulsing sky. Chosen for us to die. That asks where or why. One cannot bid goodbye to Love. God does not forsake tomorrow. That leads me past my sorrow. To places in my heart. Forever in His Embrace from Above.